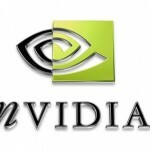 According to one of our sources, NVIDIA GeForce GTX 580 will not be actually released next week. If whispers are correct, it will only be a paper and not a hard launch, as everyone expect. When is the hard launch? Early 2011 (January, February) or late 2010 (December). However, take this with a big grain of salt, because this is not our source and therefore, not 100% trustworthy. Hey, you read SemiAccurate too! cool. Although SA wrote about no release as well, it is different kind of source. In case we hear that from other web sites, we will let you know that.